Whether you call it imposter syndrome or simply your jerkbrain acting up, we all have our moments of feeling like a fake and that, someday, everyone will find out. And at it turns out, one of the professions most prone to imposter syndrome is software development. Another contributor to the problem is overwork, writes Julie Bort in Business Insider. 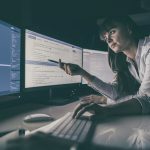 Some companies not only expect programmers to work 50- and 60-hour weeks, but tell them that real programmers love programming so much that they do it in their spare time, too. While imposter syndrome, first described in 1978, was originally attributed to women, more recent studies have indicated that both men and women are subject to it, writes L.V. Anderson in Slate. And in fact, imposter syndrome is actually really common. As many as 70 percent of people have imposter syndrome, writes Olivia Goldhill in Quartz.